The choices you make in your 20s will have a tremendous impact on the rest of your life. Who you marry, where you live, what career you pursue—all are pivotal decisions. And for most of us, these will happen before we reach the age of 30. But every decision will be affected by how you manage your money. 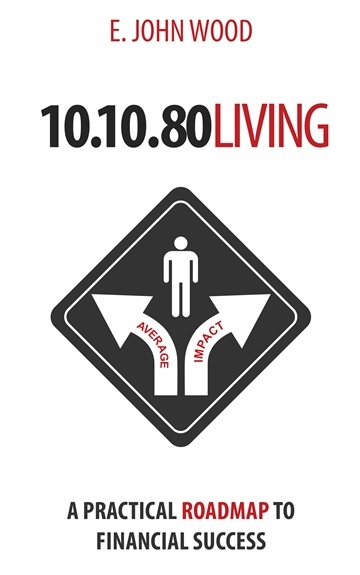 To address this reality, 10/10/80 Living provides you with a simple strategy for building a successful financial life from your first paycheck. This book is not an overflow of useless information, but an actual plan that you can begin using today. Whether you are in school or building your career, this book will help you make sound financial decisions today that will shape your quality of life for decades to come. Life is short. Make an impact. John Wood is a passionate entrepreneur and real estate professional from Atlanta, GA.
10/10/80 Living is his first published book, and he wrote it to help young working professionals create a successful financial life from their first paycheck. He currently lives in Atlanta, GA, with his wife, Dana.